This rolling vanity stool goes where you go. Natural wicker is handwoven over a steel frame. For added strength the frame is reinforced with steel crisscross supports. 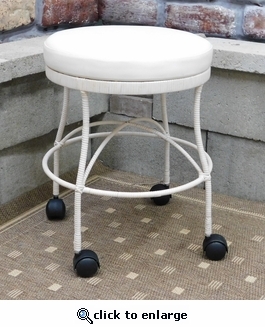 The 18" diameter vinyl seat has a comfortable cushion. Available in White or Pecan Finish.